LANGLEY — Ask Seina Kashima about it, and she can’t help but label it a re-invention of her soccer brain. 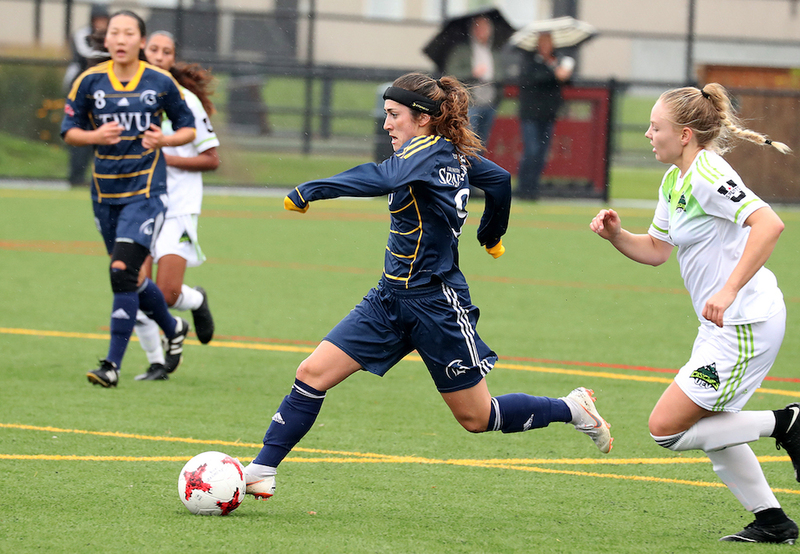 Prodigious scorer with the Whitecaps girls elite REX program joins the nation’s most decorated women’s program since the turn of the century, and over her five-year career with the Trinity Western Spartans turns into the most productive playmaker the Canada West conference has ever seen. Yet as that five-year career gets down to its true nitty gritty, and the landscape of her career is viewed from the widest possible angle, a compelling argument can be made that her university experience as a student-athlete at TWU simply revealed what was always her truest essence: That of a giver and a leader. In the Spartans first match of the conference season back on Sept. 7, the former youth soccer sniper supplied a pair of assists in a 3-1 win over visiting Victoria, making Kashima the Canada West’s all-time career leader in assists with 29. And sometime in 2019, the Burnaby South grad is hoping to launch an after-school soccer academy in her home city’s Edmonds neighbourhood, all with the thought of giving at-risk youth their best shot at finding foundational support through the critical years of grade school through post-secondary. “It’s definitely getting a little sad to think that it’s all coming to an end soon,” explains Kashima, whose U Sports No. 2-ranked Spartans (9-1-0) take a five-game win streak into their final two home conference matches this weekend against Alberta (Friday, 5 p.m.) and Mt. Royal (Saturday, 6 p.m.) at their cozy, on-campus fortress known as Chase Office Field. “No matter which way our season goes, this is it and I probably won’t play at this level after university,” continues Kashima, who in her senior season has been the conference’s most influential player, leading the way in both assists (9) and points (16) to go along with seven goals, overcoming an injury-riddled start to her Spartans’ career in which she battled numerous concussions. “Because of all of that, I am savouring each moment and I want to extend the season as much as I can for all the seniors, and to allow the younger girls to experience all of this,” adds Kashima, who earlier this week became just the second TWU women’s soccer player to be honoured as U Sports Female Athlete of the Week. 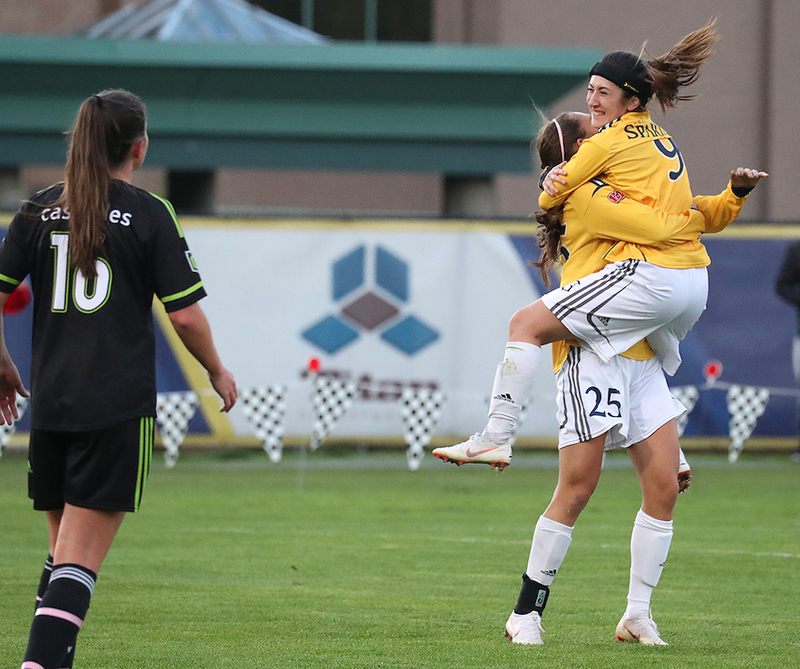 It was back in the spring of 2014, when as part of The Province’s Head of the Class special section, we selected a group of six student-athletes we felt best represented the top girls graduating soccer talent in B.C. The other five were all headed to NCAA Div. 1 schools, to conferences like the Pac 12, the Ivy League and the Big 10. Kashima, every bit their quality, however, decided that she had found her best fit at home, and thus the Burnaby South grad elected to attend Trinity Western University. The decision, however, meant an about-face in her game. “I definitely have learned to play more with my teammates,” says Kashima, who in 61 career regular-season conference games with the Spartans has reversed her goals-to-assists ratio to a perfect 1-to-2, with 18 goals and 36 assists for 54 points. And ultimately effective, because like age-old adage of having to give something up in order to get it back, Kashima has, in a sense, arrived back where she started, only now as a much more complete player and person. Not only is she the most prolific playmaker in conference history, she is also leading the conference this season in shots by a huge margin, and has already scored more goals this season (seven, with four more games remaining) than she has in any of her previous four Spartan campaigns. 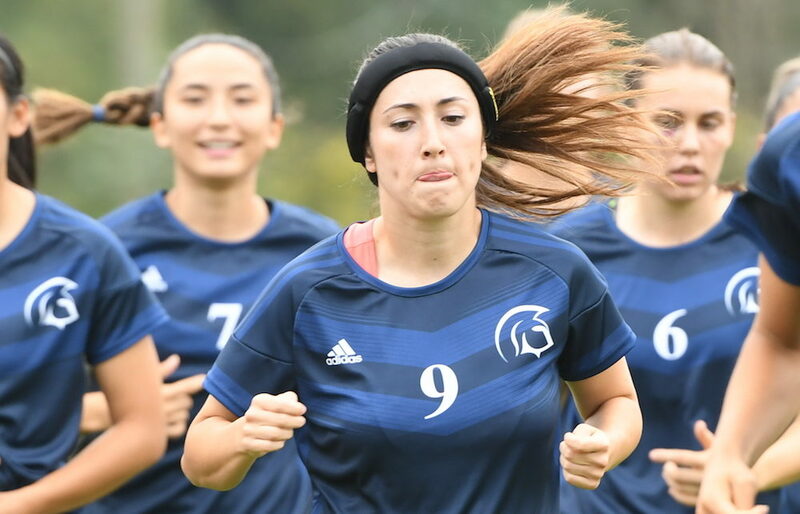 Graham Roxburgh, who has led the Spartans to more U Sports titles (five) than any another program since the turn of the century, appreciates everything Kashima has done in the details to become her most complete self on the field. The part that she has honed and planned and perfected over her time on the Langley campus, however, is testament to both her overall skill set and the recognition Roxburgh has for seeing what others might not from within the proverbial lump of freshman clay. Mission trips are all part of the TWU experience, and over the course of her years in the program, Kashima has seen the world with her teammates, banding together with them to help make a better planet. Yet as she readily admits, she was missing one vital part of the equation. Roxburgh has always been a like-minded resource for such matters, and Kashima was able to lean on him for much-needed help. The demands of soccer and school have been huge for her, yet Kashima is hopeful her idea of a local soccer academy for help at-risk youth in the Edmonds neighbourhood near Byrne Creek Secondary can soon become a reality. Assists. It’s always about the assists. On the field, but just as important, off of it as well. And if Seina Kashima always had a natural gift for moving with a soccer ball at her feet, she’s learned that giving it up is the best and most rewarding way to get it back.